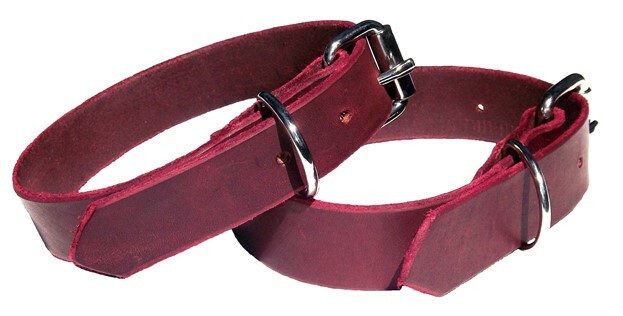 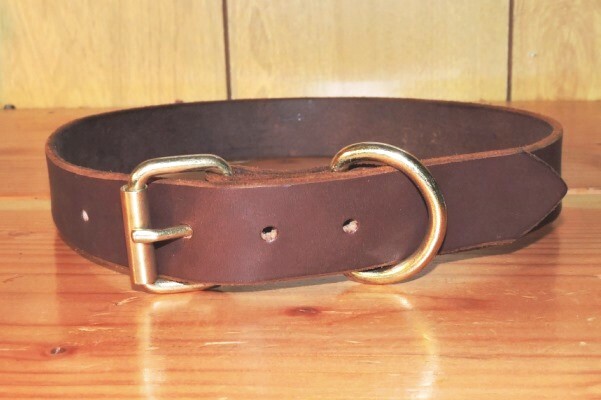 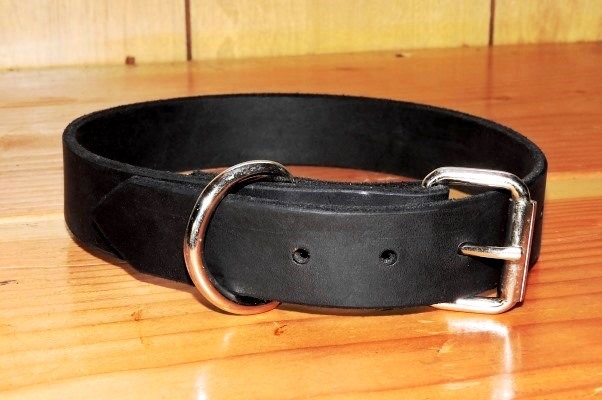 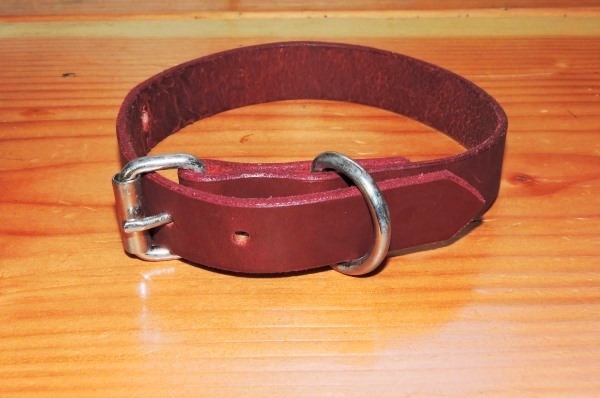 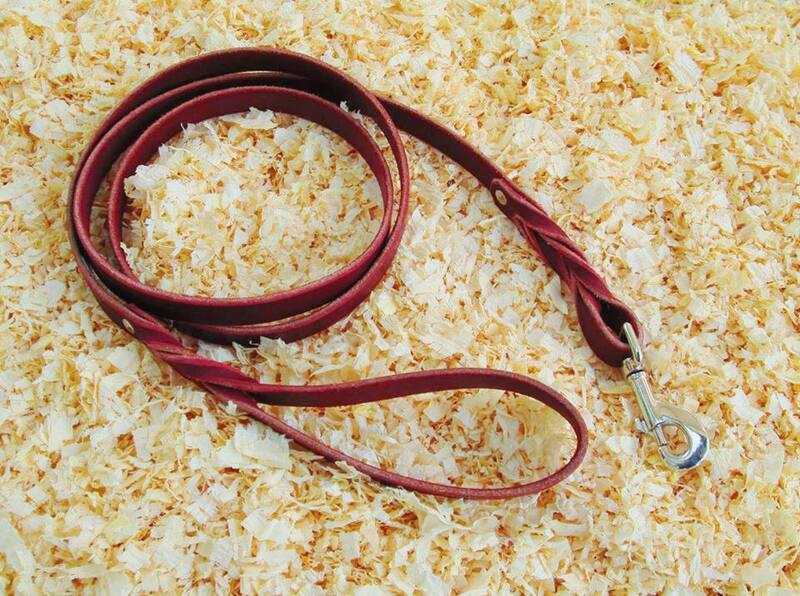 Handcrafted Burgundy Latigo Leather Dog Collar made in the USA from heavy latigo leather that was tanned for strength durability and flexability. 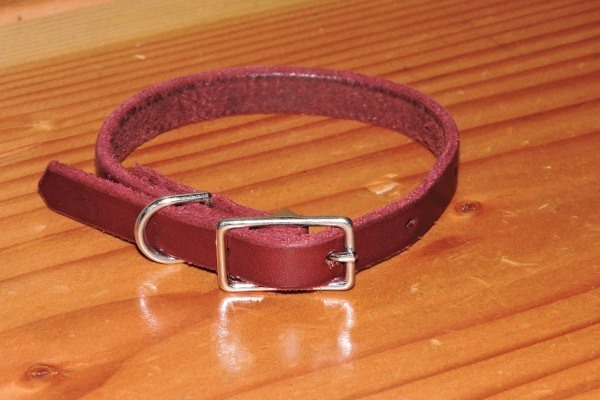 Each collar is hand cut from a hide of leather and inspected. 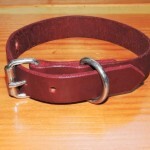 Our collars are fastened with two press rivets that grab the back side of the collar like teeth. 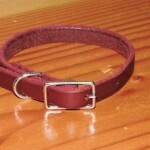 Unlike other companies we do not charge our customers for embossing a name on our pet products.